Combating Homelessness & Addictions. Rebuilding Lives. This Fall, Samaritan Inns is fortunate enough to have a few extra hands on board with our Adult Treatment Program. Shawn, an undergraduate Social Work student at Eastern Mennonite University, and Theresa, a graduate Clinical Pyschology student at Institute for the Psychological Sciences at Divine Mercy University, are interning with us this Fall and into the winter. Shawn hails from Culpepper, Virginia. He came to Eastern Mennonite University, unclear of what his area of study should be but knew his end goal. 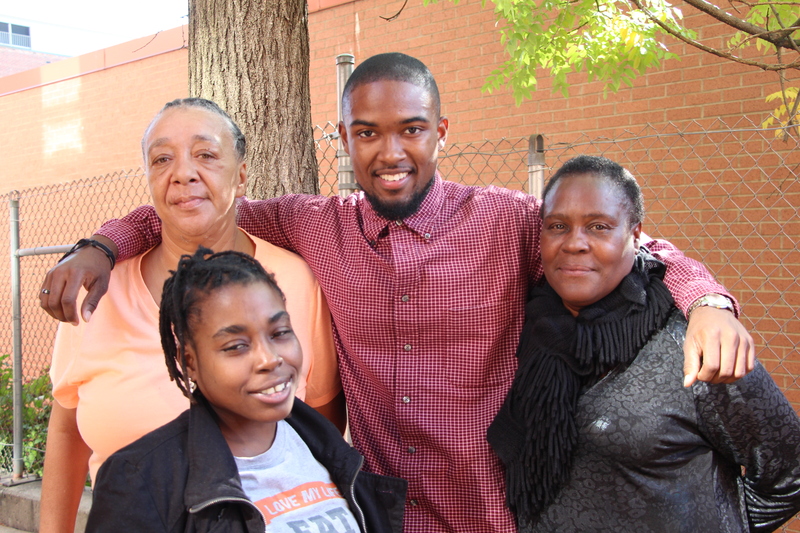 “I always wanted to help people.” At first, Shawn was Pre-Law, but found it was not for him. Then, he joined their Global Peacemaking Program. But finally, he settled in on Social Work, a field he’s been passionate about ever since. To finish his degree, he, along with 14 others from EMU, are staying here in DC, while working full-time at internships throughout the city. Shawn loved the environment and people of Samaritan Inns and was excited to get started. Working side by side with counselors, our patient intake, and monitors, Shawn is able to get a lot of hands on experience on what it is like to work in the field of substance use disorders. Shawn’s passion for the work shines through, as he always tries to do more than what is expected of him. Shawn loves what he does at Samaritan Inns. He truly feels like he can allow his true self to shine. “The person that rolls out of bed is the person at work.” He loves interacting with the clients and getting to know their stories. At first, he felt that, since he is a young college student, his age would be a challenge. But, as he had a few conversations, the age gaps begin to disappear. As Shawn wraps up his undergraduate program, he shares that his ultimate goal is to work with juvenile populations, to help youth the way he has helped many clients at Samaritan Inns, listening. When she first started looking for internships, substance use disorders were not an area of interest. She joined Samaritan Inns, thanks mostly to Judy, the Director of Treatment Programs, and the positive staff and work environment. “It has a good spirit. It sounds like a silly thing to say but there’s such a good atmosphere here,” Theresa shared. While here, she’s grown passionate about the work and mission. According to her, she’s not alone in that experience. Many in her program found working with substance use disorders to be a fascinating and rewarding field. On a day to day, she co-leads a psychological education group with JoAnne, the Director of the Adult Treatment Program, individual therapy, and, soon, she will be doing child therapy at the Clark Inn as well. In her studies, Theresa’s primary focus is people recovering from trauma, such as child abuse and domestic violence. From her time here, she’s discovered the common thread of such traumas with substance use disorders, inciting a curiosity with how to address this on multiple levels. Theresa excelled in the classroom but this was a big step for real life application. “The big difference so far just how intensely real people and their experiences are. Like, when you get to hear their stories, it’s so profoundly amazing,” she shared. Like Shawn, Theresa will be graduating with her Master’s this year. She plans on returning to the St. Louis area. 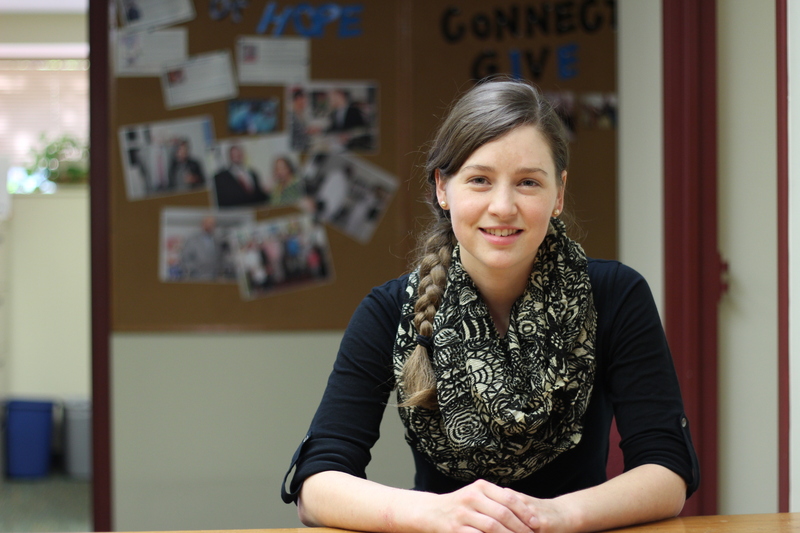 Before coming to Samaritan Inns, she wanted to work with children and adolescence, but, her experience here, has opened up a variety of interests for her. Time will tell what the future will hold for both of our interns. We truly appreciate their service at Samaritan Inns and would welcome the opportunity for their return in the future! Copyright © 2019, Samaritan Inns, All Rights Reserved. Powered by Threshold Technologies, Inc.